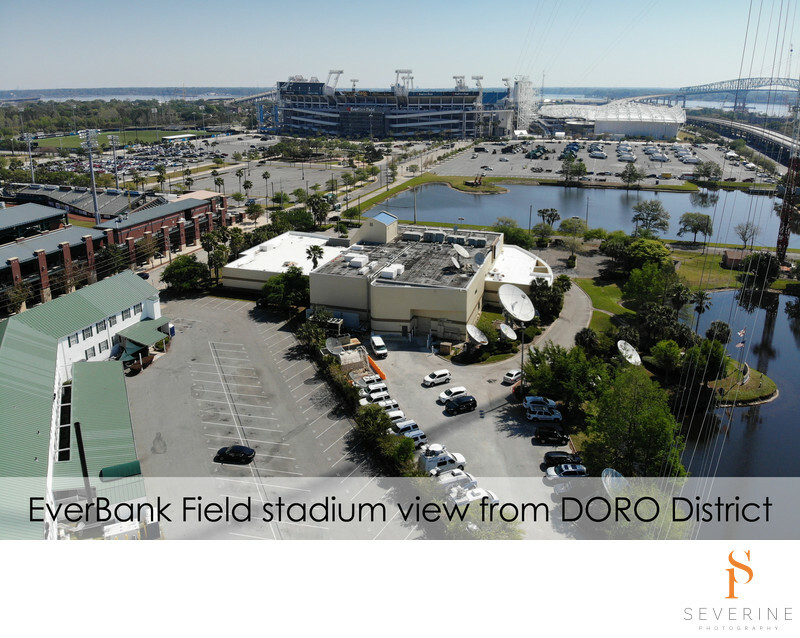 We took this aerial view or the Everbank Jaguars stadium from the Doro District. It shows very well to prospect clients that the Doro District is located only only block away of the stadium Real estates agent love to show aerial photos to their clients. It's the best way for them to show distances. We took this aerial photography with a dji camera. Severine Photography is a photo studio specialized in architectural photography. We use both regular cameras and drones to deliver high quality images to our clients. We are based out of Jacksonville, Florida. Keywords: Doro (18), Jacksonville (210), Matthew Clark (12), Prime Realty (30), Severine Photography (291).